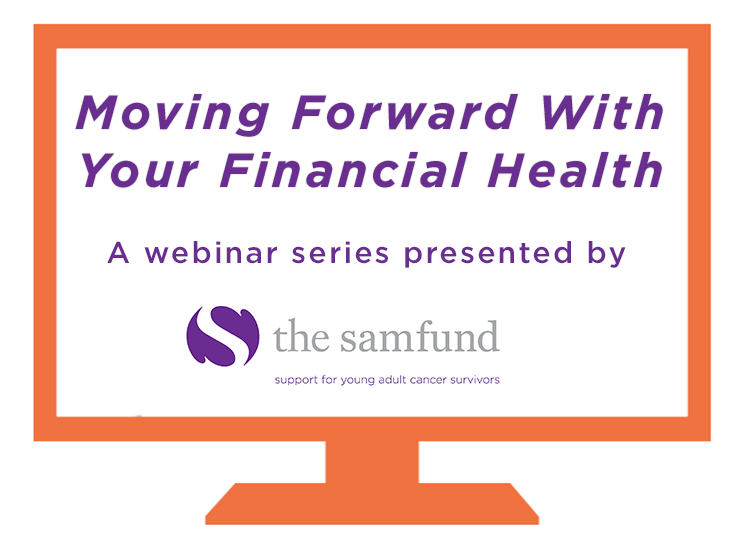 Our webinar series "Moving Forward With Your Financial Health" addresses some of the most common financial challenges faced by young adult cancer survivors after treatment. Presented in partnership with financial professionals and other organizations, our webinars provide information, tools, and guidance to overcome these challenges. Accessible 24/7 on Samfund TV, our YouTube includes topics such as rebuilding your credit after treatment, reducing medical debt, family building, tackling workplace issues and more. Presented by Sashka Rothchild, CEO and Founder, Standbuy. Slides available here. Presented by Monica Bryant, Esq., from Triage Cancer. If you would like the slides from this presentation please email webinar@thesamfund.org. Presented by Peter Smith, Policy Analyst from the Social Security Administration. Presented by Sherri Avery, Director of Financial Aid at Brandeis University. If you would like the slides from this presentation please email webinar@thesamfund.org.